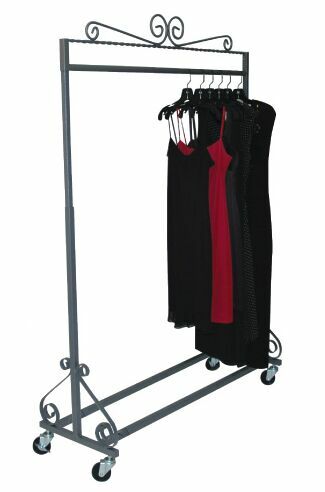 Decorative single hangrail rack with locking casters. Adjustable height from 49" to 67". Weight capacity is 200 lbs. 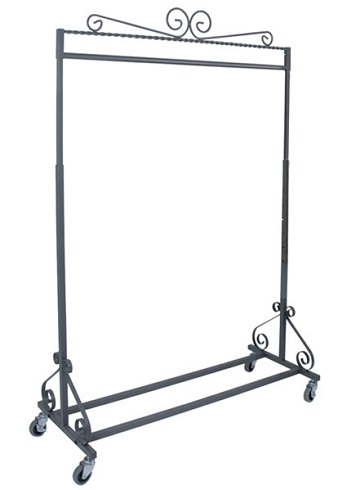 Dimensions: 48"L X 20"D. Weight: 32 lbs. Color: grey.